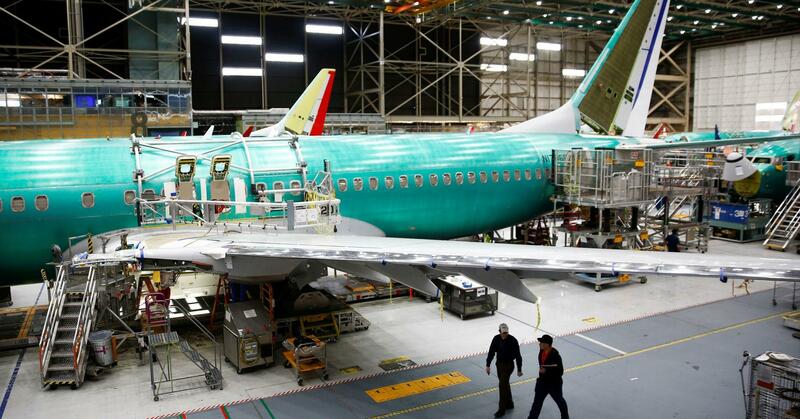 SAN FRANCISCO, April 5 (Xinhua) -- Boeing CEO Dennis Muilenburg said Friday that his company is planning to cut the monthly production of 737 airplanes beginning this month to divert more resources to work to bring 737 Max aircraft currently grounded worldwide back to sky. "We're adjusting the 737 production system temporarily to accommodate the pause in MAX deliveries, allowing us to prioritize additional resources to focus on software certification and returning the MAX to flight. We have decided to temporarily move from a production rate of 52 airplanes per month to 42 airplanes per month starting in mid-April," Muilenburg said. The Boeing CEO, in a video statement Thursday, acknowledged for the first time that bad data played a role in the two air crashes, Indonesian Lion Air Flight 610 in October and Ethiopian Airlines Flight 302 in March -- both involving 737 Max aircraft and killing a combined 346 people -- as the aircraft's Maneuvering Characteristics Augmentation System was activated in response to the erroneous "angle of attack" information. Muilenburg said Friday the company has "the responsibility to eliminate this risk," and is making progress on the 737 Max software update that will prevent similar accidents from happening again. The recent deadly air crashes have led to the worldwide grounding of 737 Max jets.